Dental restorations have been made from a variety of materials over the years, including porcelain-fused-to-metal and gold. As durable as these options are, only all-ceramic restorations provide natural-looking results that most patients want. With custom-made, all-ceramic restorations, we’re confident that only you and Dr. Schumacher’s team will ever know about your treatment. Our CEREC machine mills restorations from quality ceramic while you rest comfortably in our office. As a result, your crown procedure is completed in a single visit instead of having to return to our office for a follow-up appointment later. If you need a treatment solution that’s more advanced than a simple filling but not as advanced as a full crown, let us talk to you about the benefits of an inlay or onlay. These restorations function like fillings, but are milled from durable ceramic. A crown and bridge is a prosthetic designed to replace a single missing tooth. Combining a replacement tooth with one or two abutment crowns, your custom restoration improves appearance and prevents remaining teeth from moving out of alignment. Would you like to learn more about all-ceramic restorations? 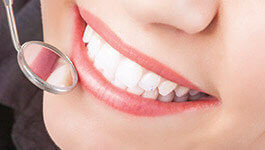 Call our Wakefield dental office today with questions or to reserve a consultation with Dr. Schumacher.